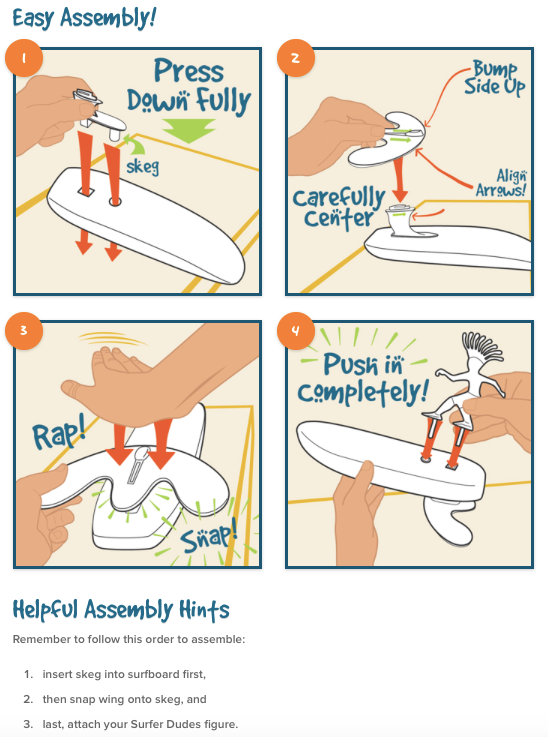 Toss this surfer toy into the waves and it will self-right in the water and surf back to you. (Kind of like a water-based boomerang.) Kids will delight in throwing the toy and watching it come back time after time, which is the result of years of careful engineering. No batteries, no noise—just surfing fun at the beach. Dimensions: 11" x 6" x 7.5"
Took them to Hawaii for my 3 and 5 year old grandkids. They love them! Take them in the ocean with them and play! I bought this for my grandson and granddaughter’s trip to the beach. It was a big hit. Each Surfer Dude is amazing to watch and endlessly fun to play with. 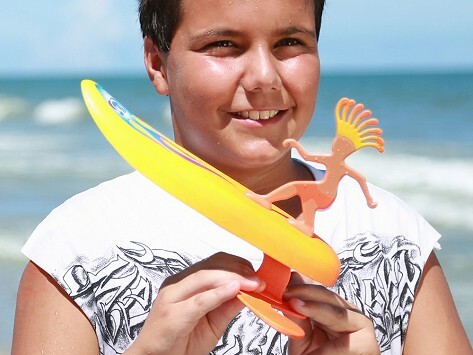 It’s a surfer toy made to ride the waves. Toss it into the water and it will self-right and surf the wave back to you—kind of like a boomerang, but with surfer style. Kids will be delighted tossing a surfer into the waves and watching it come back—every time.